Blackfriars Bridge Foreshore is going to be a major site for the construction and operation of the Thames Tideway Tunnel. This Google Earth image shows the area of the site. 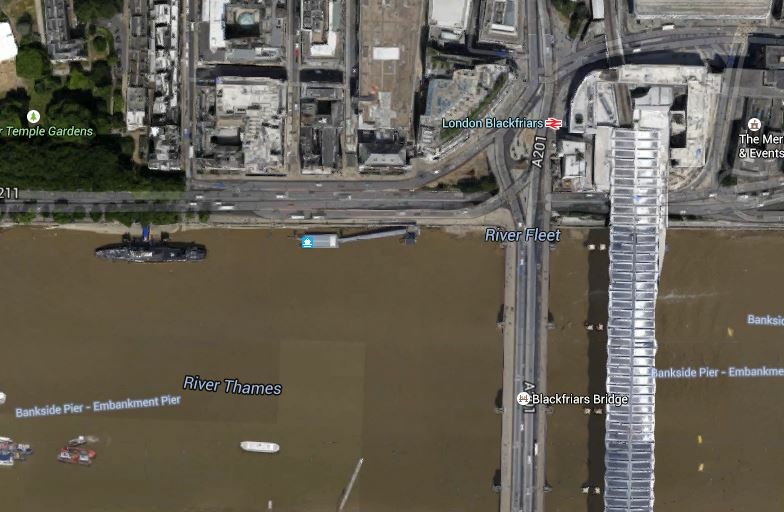 Note the pier for the river boats and HMS President in the angle between Blackfriars Bridge and the Victoria Embankment. 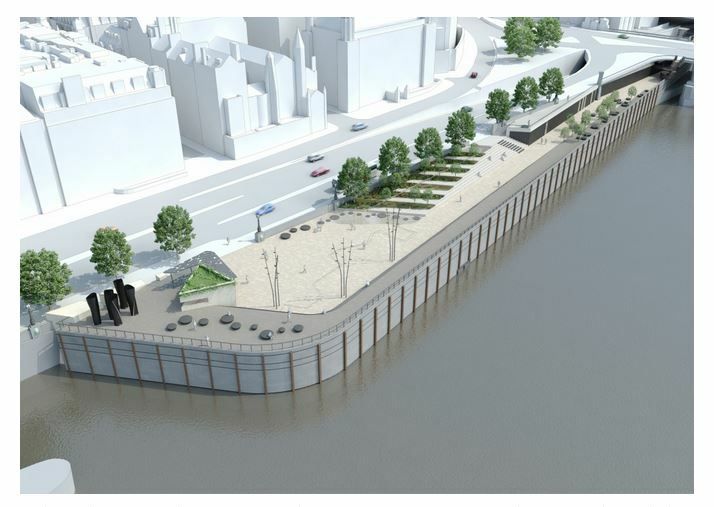 Compare this image with this visualisation clipped from the Thames Tideway Tunnel web site. The pier for the river boats will obviously be moved downstream and I found the works for this a few days ago and wrote about it here. The first thing anybody will notice here is the relocation of the pier, which Thames Water say won’t happen until the new one is ready. At the moment the current pier is looking a bit tired, as these pictures show. The text system for the Next Boat works.